Hold it! It looks like the latest entry in the long-running Ace Attorney series is about to launch this year in Japan -- June 9 to be exact. That means we should hopefully be looking forward to a Western release too, right? And that's just enough time for me to be able to run through the previous games in the series first before heading into this one, too. Those are the thoughts that now creep through my mind when these kinds of announcements go out. If the wait proves too hard to bear and you can read Japanese, there's a demo up that you can actually play in your browser. Thanks, 9 years of Spanish that isn't helping me a single iota here. 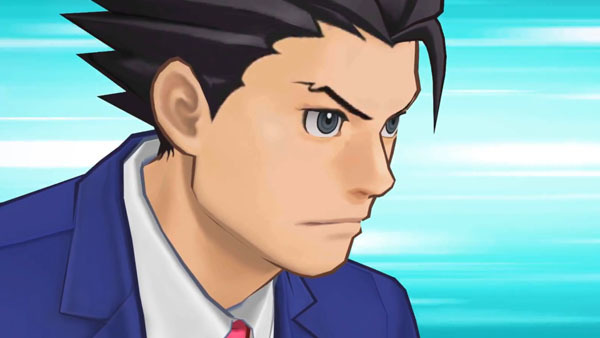 A set number of copies will come with two special scenarios with Phoenix Wright and Apollo Justice, as well as a costume set that has new outfits for Phoenix, Apollo, and Athena Cykes. The limited edition available via the e-Capcom store has a drama CD, Kuttari plushie, Bokuto Tsuani's tote bag, visual poster card book, original box, and the game of course. They're doing it up right in Japan. Now we just have to wait for the same treatment here...right?